The Delaware Detectives is an fun mystery adventure for upper elementary to middle grade age readers. Abby and her brother Jamie find a mystery in their grandpa's (Pop Pop's) old house. As they follow the clues to discover what to do next, they find themselves in some interesting situations. This is a fun and easy read for ages 8 and up. It reminds me a little of books like "The Boxcar Children" in that it is a fun read, good adventure, and easy to read and understand. A great book! 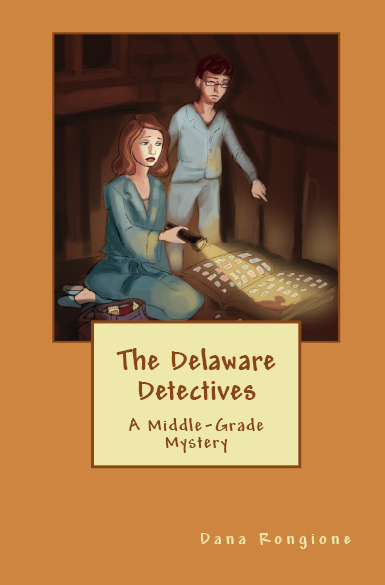 I look forward to reading more adventures of The Delaware Detectives in the near future! My children will love getting to read this over their summer break! This is a great book for young kids to read. Add it to your summer reading list! I never dreamed of becoming a full-time author. Sure, I had always loved to read, and I found great contentment in writing stories for my own personal enjoyment, but my life's dream had always been teaching. From as far back as I can remember, I relished the thought of teaching. As a child, I would line up my dolls and stuffed animals and "teach" them anything and everything I felt they should know. When the time came to pick my college major, I had no trouble, and four years later, I graduated at the top of my class with a BS degree in Elementary Education. I was immediately offered a position teaching kindergarten, and I jumped at the opportunity. For nine years, I poured my heart and soul into teaching, but by the end of the eighth year, something had changed. Teaching was no longer a pleasure. It was no longer enjoyable to me. I no longer felt like I was making a difference. And to be honest, before long, I was miserable. I won't bore you with the details of that last dreadful year of teaching, but I will tell you that something in my soul was stirring, and I knew I needed to make a change. But what would I do? Teaching was all I knew. It was all I had ever done. And then, I had a revelation. During that last year, I received a letter from The Institute of Children's Literature. I don't know how they got my information, but they invited me to fill out an application for one of their writing courses. I'm really not sure why I did it, but I filled out the application, took the entrance test and waited to see what would happen. I can't describe my excitement at being accepted. For the next few months, I taught during the day and took my writing classes in the evenings and on weekends. Before long, I was enjoying the writing far more than the teaching. When the opportunity arose for me to take another writing class, I didn't hesitate. And once again, I felt like I had found my true calling. With the growing uneasiness of my teaching job, I prayed daily for the Lord to guide me to where He wanted me to be. I pleaded with Him to put me somewhere where I could be happy and still make a difference. It wasn't long before I felt Him leading me to quit my teaching job (at the end of the school year, of course) and go into full-time writing. The process was thrilling and terrifying. Now, six years later, I think I've finally found my writing niche. For a while, I floundered about trying to decide what I wanted to write. I've tried my hand at article writing, copywriting, poetry, fiction, nonfiction--you name it. But I feel my true calling is to write Christian books for all ages. I now have three devotionals for adults, a healthy living e-book, a fiction book for special-needs children and a middle-grade novel. I'm currently writing my fourth devotional, and I have an illustrator working on the artwork for another children's book. While the journey hasn't been easy, it has been overflowing with rewards. Despite the pay (or lack thereof), I love my job! I set my own hours and spend my days doing work that I love and that is a help and encouragement to others. (Not to mention, there aren't too many jobs where one can work in their pajamas and bedroom slippers!) The life of a writer can sometimes be lonely and discouraging, but it can also be indescribably wonderful. I'm so grateful the Lord has given me such a wonderful opportunity. Hi! My name is Dana Rongione. (Yes, I know that's a mouthful.) I live in Greenville, SC with my husband, Jason, and my two dogs, Tippy and Mitch. Having been a Christian for nearly 28 years, I know what it is like to experience both joy in the journey and weariness in well-doing. Currently self-employed as a writer and speaker, I struggle (like many other Christians) to balance the demands of work, family, church, health, chores, etc. I enjoy all types of writing, but my true joy lies in writing devotionals that will encourage and uplift the weak and weary Christian. This blog, A Word Fitly Spoken, is currently read in over 15 different countries, allowing me the opportunity to spread the message of hope and joy throughout the world. I also have another blog, Song of the Day, that offers the truth of the Word in song. I currently have three published devotionals and numerous articles in magazines and e-zines across the country. I am available to speak at local ladies' meetings or writers' workshops. 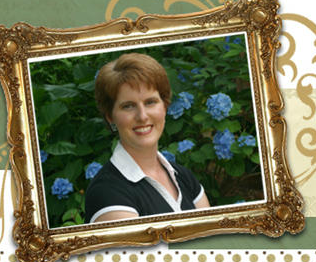 You can find out more about me and my ministry by visiting my website at DanaRongione.com. 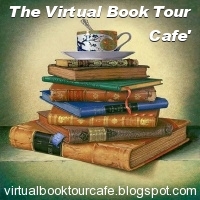 * I received a free copy of this book from the author for this book tour and review. 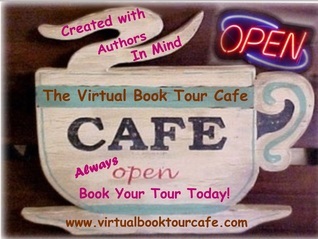 Promo and guest post provided by the author and Virtual Book Tour Cafe. All reviews are my personal and honest opinion. I enjoyed learning more about Dana! We have several similarities: I taught for 8 years. I never really tired of it, so it's probably a good thing I didn't go for that ninth year :) My daughter loved Delaware Detectives! Very interesting, Susan! Yes, it's probably a good thing you didn't go for the ninth year. In many ways, I wish I hadn't, but I believe the Lord used it to prepare me for this phase of my life. Teaching should be rewarding, but the way it is set up now in the U.S., most teachers are underpaid, overworked, and treated horribly by both students and parents (not all, but a few is all it takes). I am glad you found a new career you enjoy! You speak the truth, Kris. It's hard being a teacher in this day and age. But thank you for your comment and your well wishes on my writing career!